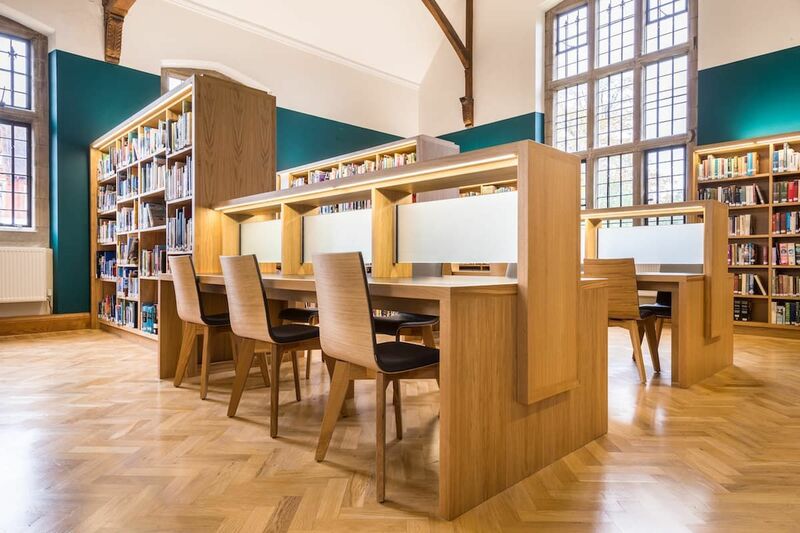 The transformation of a rather fusty Edwardian library into a bright, smart 21st century library/gallery/social hub – with added learning space and contemporary furniture throughout. 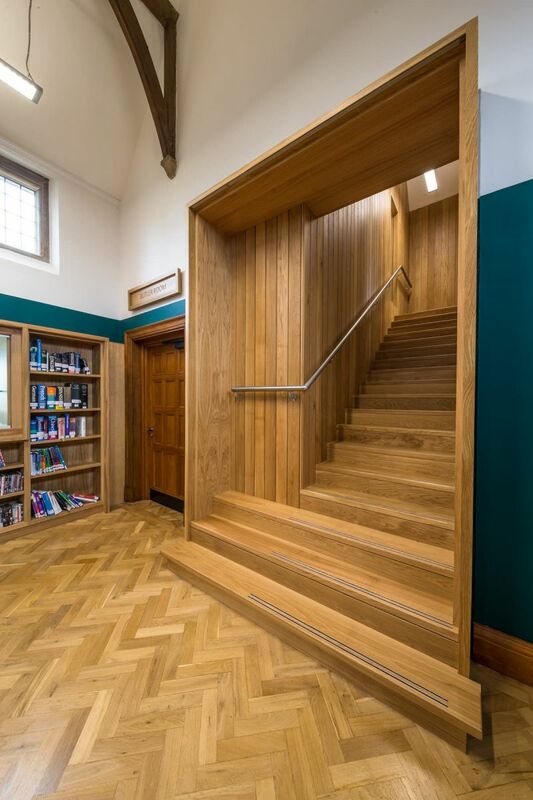 Not our usual fare but the difference made it interesting; an opportunity to truly transform the experience of a building and take real joy in designing the joinery. 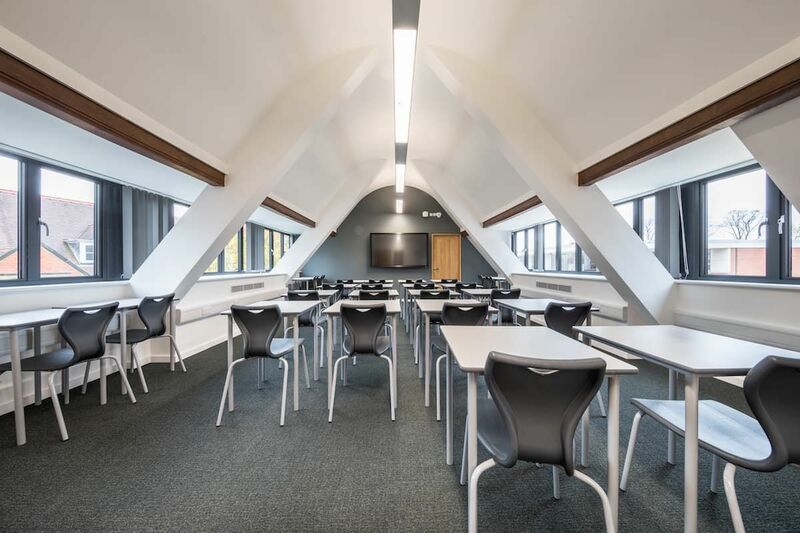 The school wanted not just a complete rehabilitation of the library but also more deskspaces and more teaching space. 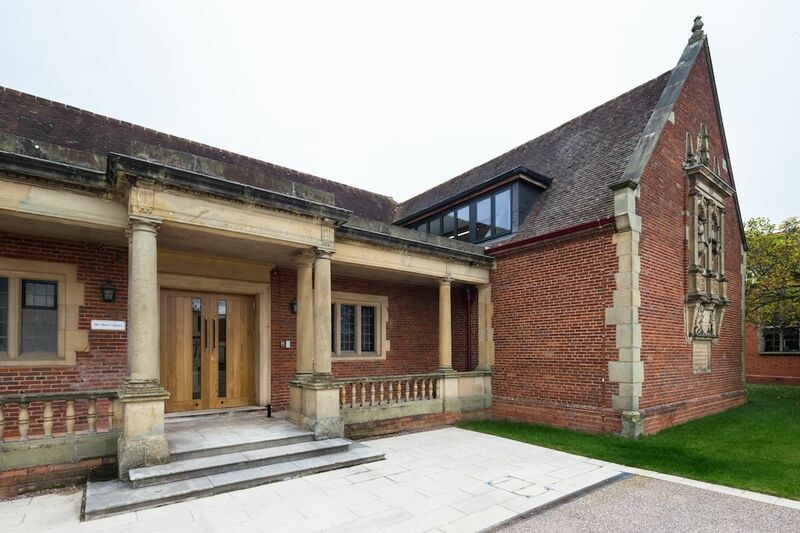 There was also the re-think of the existing art gallery which didn’t work for displaying their watercolour collection. 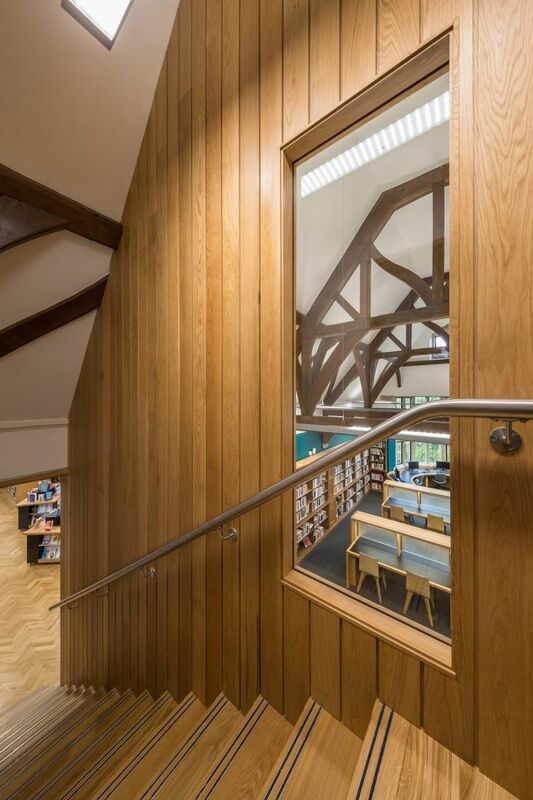 We split the gallery in two vertically, putting in a big new activity room at clerestory level and creating a cosier, more controlled gallery below. 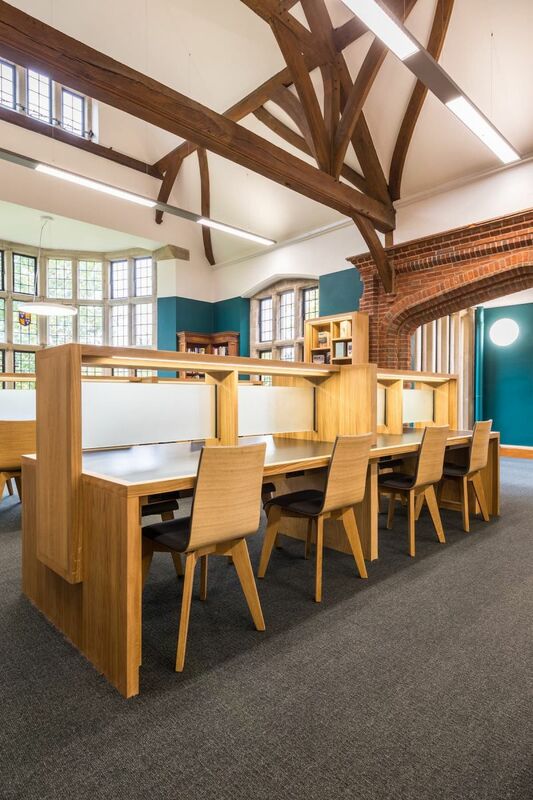 Then we ripped out the rest of the library, brightened it up tenfold and fitted it out with new shelving, new heating, new wiring, new desking, new seating, new lighting, all carefully designed to function ergonomically and be so attractive as to draw the students in. It works! 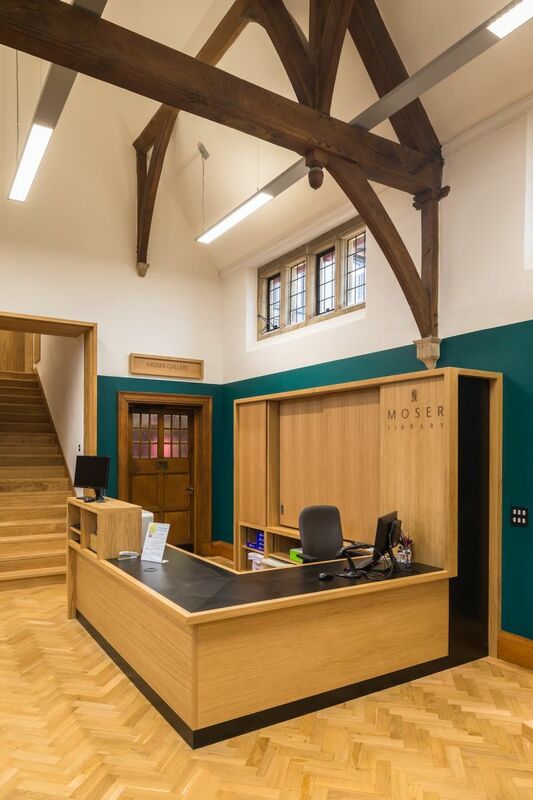 With refurbishment projects it can be hard to justify the expense and demonstrate added value. Here we gave the school more rooms and more desks but we also made the library a really positive experience at last. The students want to go there.